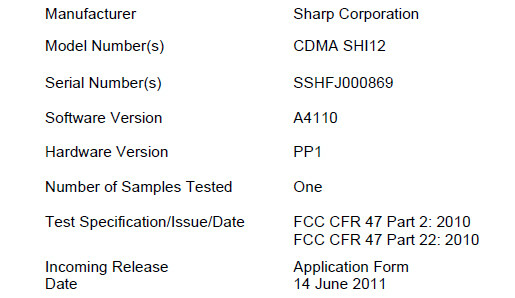 It looks like one of Sharp's Aquos 3D handsets is going to be traveling to the U.S. A model called the CDMA SHI12 has just visited the FCC. The handset features an 8MP 3D camera in the back, GPS and tri-band CDMA connectivity. This could be the IS12SH that Sharp announced last week for Japan. If so, this device will have a 4.2 inch qHD display and feature Android 2.3 under the hood. 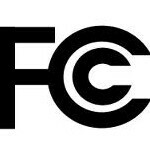 An FCC approval doesn't automatically mean that this model will be launched in the U.S., but if it is, it would make the 3D Android market well covered with the LG Optimus 3D expected to touchdown in the U.S. later this year, and with next week's expected launch at Sprint of the HTC EVO 3D. The beauty of having three different 3D models coming from 3 different manufacturers is that there is bound to be a model that has what you are looking for in a 3D handset. Just remember that the technology is still in its infancy and a few years from now, 3D technology on smartphones is sure to be a lot different and yeah, probably much better. Stop with the crappy 3D already! Amen! It's a Highly overhyped feature. When you are risking serious eye injury to 7 year olds I can't be a fan of that tech..
That's a shame. I went and got one. It lives up to its name its sharp chrystal clear.